The relative contribution of T helper (Th)1 and Th17 cells in graft rejection is inconclusive, on the basis of evidence provided by different T cell-related cytokine-deficient animal models and graft types. We used novel antigen-presenting-cell-specific Il-12p35 (also known as Il12a)-knockout (KO), IL-23p19-knockdown (KD) and IL-27p28-KD strategies to investigate T cell differentiation in islet graft rejection. In vitro dendritic cell–T cell coculture experiments revealed that dendritic cells from Il-12p35-KO and IL-23p19-KD mice showed reduced ability to stimulate IFN-γ and IL-17 production in T cells, respectively. To further explore the T cell responses in islet graft rejection, we transplanted islets into streptozotocin-induced diabetic NOD/severe combined immunodeficiency (SCID) recipient mice with IL-12-, IL-23-, or IL-27-deficient backgrounds and then challenged them with NOD.BDC2.5 T cells. The survival of islet grafts was significantly prolonged in Il-12p35-KO and IL-23p19-KD recipients compared with the control recipients. T cell infiltrations and Th1 cell populations were also decreased in the grafts, correlating with prolonged graft survival. Our results suggest that IL-12 and IL-23 promote and/or maintain Th1 cell-mediated islet graft rejection. Thus, blockade of IL-12 and IL-23 might act as therapeutic strategies for reducing rejection responses. The online version of this article ( https://doi.org/10.1007/s00125-017-4418-9) contains peer-reviewed but unedited supplementary material, which is available to authorised users. Transplantation therapy is a promising method for curing many diseases, including cardiac vascular diseases, liver diseases and autoimmune diabetes. However, allorejection and recurrent autoimmunity are major obstacles in this therapy. In the early phase after organ or cell transplantation, the cytokine production profile is a critical factor in determining the fate of T helper (Th) cell responses and tipping the balance towards graft rejection or tolerance. The differential activation of Th cells and the production of cytokines contribute to graft rejection or tolerance. Earlier studies have demonstrated that tolerising therapy prevents graft rejection by downregulating Th1 and Th1-related cytokine expression (IFN-γ and IL-2) and increasing Th2 cytokine expression (IL-4 and IL-10) in recipients [1, 2, 3, 4, 5], indicating that deviation from a Th1 to a Th2 cytokine profile in allograft recipients receiving tolerising therapy plays a crucial role in long-term engraftment . Unexpectedly, further studies using Th1- and Th2-related cytokine knockout (KO) mice as recipients did not show prolonged survival or accelerated graft rejection, respectively [7, 8]. This was probably because some cytokines have multiple functions that work at different stages or target different cells. For example, IL-2 signalling is essential for maintaining the homeostasis and competitive fitness of regulatory T (Treg) cells in vivo  and IFN-γ is crucial for alloreactive Treg-cell-mediated suppression . CD4+IL-17+ (Th17) cells have been demonstrated to mediate allograft rejection in the absence of a Th1 cell response (T-bet [also known as Tbx21]-KO recipient) and neutralisation of IL-17 or IL-6 inhibits graft rejection [11, 12]. However, these data cannot resolve the contribution of Th17 cells in a wild-type (WT) recipient carrying functional Th1 cells. Therefore, it became clear that the Th1/Th2 paradigm was insufficient to explain the mechanisms of graft rejection and the results obtained from different transplantation models (e.g. graft types, tolerising therapy strategies and various cytokine gene-KO recipients) are not conclusive; these are reviewed in Atalar et al, Liu et al and Askar et al [13, 14, 15]. Dendritic cells are central to the orchestration of host immunity against infectious agents and in self-tolerance. Dendritic cells express a panel of pattern-recognition molecules, which scavenge antigens and transmit danger signals to initiate an innate immune response. More importantly, dendritic cells act as a bridge that connects the innate and adaptive immune responses. In transplantation situations, the recipient’s dendritic cells present the donor antigens to T cells and promote T cell differentiation via IL-12 family cytokines. IL-12 and IL-23 are mainly proinflammatory and prostimulatory cytokines with key roles in the development of the Th1 and Th17 cell subsets, respectively . IL-27 was thought initially to be a proinflammatory cytokine promoting early Th1 cell differentiation in the absence of IL-12 [17, 18] and further studies have demonstrated that IL-27 can suppress T cell hyperactivity and is involved in the induction of type 1 regulatory (Tr1) cells [19, 20, 21, 22]. Together, these results highlight the importance of dendritic cells and IL-12 family cytokines in the initiation of Th cell activation and differentiation. Therefore, it is a reasonable approach to modulate the function of dendritic cells and monitor the subsequent effects on T cells, which could provide evidence to dissect the contribution of Th cell subsets in graft rejection and tolerance. In this study, we used several genetically engineered mouse strains on a NOD background. NOD mice spontaneously develop autoimmune diabetes with immunopathological features that resemble human type 1 diabetes. We generated IL-12-, IL-23- and IL-27-deficient mouse models to investigate the contribution of Th1 and Th17 cells in islet graft rejection. We hypothesised that different IL-12 family-deficient dendritic cells differentially drive Th cell differentiation, subsequently leading to islet graft destruction. This study provides new evidence to dissect the contributions of Th1 and Th17 cells in graft rejection, which might help the design of target therapies to reduce rejection responses. NOD, NOD/SCID (stock number 001303; mouse model of NOD and severe combined immunodeficiency [SCID]) and NOD.BDC2.5 (stock number 004460) mice were purchased initially from the Jackson Laboratory (Bar Harbor, ME, USA) and were subsequently bred and raised at the Animal Center of the National Defense Medical Center, which is accredited by the Association for Assessment and Accreditation of Laboratory Animal Care International (Taipei, Taiwan). All experiments were approved by the Institutional Animal Care and Use Committee Animal Center of the National Defense Medical Center. The IL-23p19-KD NOD mice, IL-27p28-KD NOD (ESM Methods) and Il-12p35 (also known as Il12a)-KO mice were previously generated in our laboratory . These IL-12-family-deficient NOD mice were crossed with mice with a NOD/SCID background for transplantation experiments. For T cell proliferation assays, BDC2.5 CD4+CD25− T cells (105 cells) were cocultured with dendritic cells (5 × 103 cells) from Il-12p35-KO, IL-23p19-KD or IL-27p28-KD mice in the presence of p31 peptide . Cells were cultured in triplicate wells in flat-bottomed 96 well plates. After 48 h, the cultures were pulsed with 37 kBq of [3H]methylthymidine (Amersham Pharmacia Biotech, Piscataway, NJ, USA); cells were harvested 16 h later onto UniFilter-96, GF/C filters (PerkinElmer, Boston, MA, USA), and the incorporated [3H]methylthymidine was detected using a TopCount counter (Packard, Meriden, CT, USA). For analysing T cell differentiation, CD4+CD25−BDC2.5 T cells (106 cells) were cultured with splenic (106 cells) dendritic cells (WT, Il-12p35-KO, IL-23p19-KD and IL-27p28-KD) in the presence of p31 peptide (0.2 μg/ml) in 24 well plates for 3 days. T cells were harvested for flow cytometry and culture supernatant fractions were collected for ELISA. For isolation of T cell and dendritic cells, see ESM Methods. Pancreatic islets were purified from 6- to 8-week-old male NOD mice using the collagenase digestion method, as described previously . Marginal islets were collected and 400 were implanted into the left renal capsule of mice with streptozotocin-induced diabetes: NOD/SCID and NOD/SCID with IL-12-family-cytokine-deficient recipients (ESM Methods). 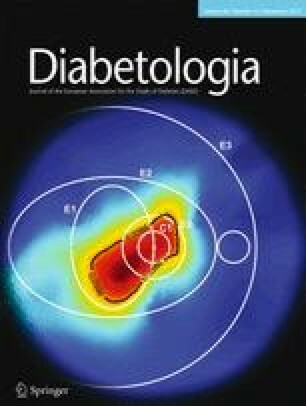 The blood glucose concentration was monitored daily after islet transplantation and the recipients were rested for 1 week before adoptive transfer. For adoptive transfer, CD4+CD25− T cells or CD8+ T cells were isolated using BD IMag cell separation system (BD Pharmingen, San Jose, CA, USA). Normoglycaemic recipients received 2 × 105 CD4+CD25− T cells from NOD.BDC2.5 mice (6~8 weeks old) or a total of 2.5 × 106 CD4+CD25− and CD8+ T cells (ratio 2:1) from NOD mice (6~8 weeks old), via intraperitoneal injection. Blood glucose concentration was monitored using a FreeStyle Optium Blood Glucose Monitoring System (Abbott, Abbott Park, IL, USA). Loss of graft function was defined as a blood glucose concentration > 16.65 mmol/l on two consecutive days. For analysis of the cell populations in reconstituted recipients, NOD/SCID, NOD/SCID Il-12p35-KO, NOD/SCID IL-23p19-KD and NOD/SCID IL-27p28-KD recipients were perfused with NaCl solution (154 mmol/l) to remove blood cells and lymphocytes from the spleen and pancreatic lymph nodes (PLNs), and grafts were harvested for flow cytometry. For intracellular cytokine staining, cells were stimulated with phorbol 12-myristate 13-acetate and ionomycin in the presence of monensin (all from Sigma-Aldrich, St Louis, MO, USA) for 4 h, followed by intracellular cytokine staining. Cells were stained with anti-CD4 (RM4-5), anti-CD8 (53-6.7), anti-CD25 (PC61.5), anti-IFN-γ (XMG1.2), anti-IL-17 (TC11-18H10.1) and anti-forkhead box P3 ([FOXP3]; FJK-16s) antibodies (eBioscience, San Diego, CA, USA). Cells were analysed using a FACSCalibur flow cytometer and CellQuest software (BD Pharmingen). For characterization of the phenotype of the dendritic cells, see ESM Methods. All antibody staining procedures followed standard protocols provided by suppliers and each experiment included proper positive and negative controls. Graft-bearing kidneys were removed on day 11 after T cell transfer and embedded in optimal cutting temperature compound (OCT) (Leica Biosystems, Nussloch, Germany) for frozen sectioning (ESM Methods). The sections were stained with haematoxylin and eosin (Sigma-Aldrich). For immunohistochemistry, frozen tissue sections were stained with anti-insulin (1:50 dilution) (Abcam, Cambridge, UK) and anti-CD4 (1:200 dilution) (eBioscience, San Diego, CA, USA) primary antibodies and then with a horseradish peroxidase-conjugated secondary antibody; 3-amino-9-ethylcarbazole (Sigma-Aldrich) was added for enzymatic stain development. The images were captured via a Leica DM2500 microscope (Leica Biosystems). Culture supernatant fractions from dendritic cell–T cell cocultures were analysed for levels of IFN-γ and IL-17. All procedures followed the standard protocols provided by R&D Systems (Minneapolis, MN, USA). Prism version 6.00 software (GraphPad Prism, San Diego, CA, USA) was used for graph generation and statistical analysis and p < 0.05 was defined as significant. Differences in cell population and cytokines production were determined by using t tests and statistical significance levels were determined using the Holm–Sidak method. Survival statistics were analysed using the Kaplan–Meier method. To evaluate the potential effects of the absence of these cytokines on dendritic cells and subsequent effects on other immune cells at steady state, we analysed the lymphocyte composition and characterised the phenotype of dendritic cells in WT, Il-12p35-KO, IL-23p19-KD, and IL-27p28-KD mice. The lymphocyte (ESM Fig. 1a) and Treg cell (ESM Fig. 1b) populations were not changed in these mice. To evaluate the effect of these cytokines on dendritic cells, we analysed the expressions of costimulatory/inhibitory molecules (CD40, CD80, CD86 and PD-L1), an adhesion molecule (CD54), lineage markers (CD103, DEC205 and 33D1) and MHC class II molecules on dendritic cells. The expression levels of these markers and the subsets of dendritic cells were not altered in the spleens of these mice (ESM Fig. 1c), suggesting that the lack of IL-12, IL-23 or IL-27 did not affect the function or development of dendritic cells in our models. Previous studies have demonstrated that IL-12 family cytokines are important for Th cell activation and differentiation, but how dendritic cells affect CD4+ T cells via these cytokines under rejection conditions is still unclear. We addressed this issue by establishing a dendritic cell–T cell coculture system in the presence of a specific antigen. To dissect the cellular mechanisms of CD4+ T cell proliferation, bone-marrow-derived dendritic cells (BMDCs) or splenic dendritic cells from WT, Il-12p35-KO, IL-23p19-KD or IL-27p28-KD mice were cultured with CD4+CD25− T cells from NOD.BDC2.5 mice in the presence of p31 peptide at different concentrations. BMDCs and splenic dendritic cells from these cytokine-deficient mice induced antigen-specific T cell proliferation to similar levels as cells from WT mice (Fig. 1a–c and Fig. 1d, respectively), suggesting that deficiencies in these cytokines have a limited effect on T cell proliferation. To investigate how cytokines of the IL-12 family affect antigen-dependent CD4+ T cell differentiation, we cocultured the splenic dendritic cells from WT, Il-12p35-KO, IL-23p19-KD or IL-27p28-KD NOD/SCID mice with purified BDC2.5 CD4+CD25− T cells in the presence of the specific antigen, p31 peptide, to analyse differentiation in the Th cell populations. The dendritic cells from Il-12p35-KO mice displayed a reduced ability to promote IFN-γ production by T cells (Fig. 2c). However, dendritic cells from IL-23p19-KD and IL-27p28-KD mice showed similar capacity to induce CD4+IFN-γ+ (hereafter Th1) and CD4+IL-17+ (hereafter Th17) differentiation as the WT controls (Fig. 2a, b). Interestingly, ELISA analysis of supernatant fractions from the cocultures demonstrated that the IL-23p19-KD dendritic cells promoted IFN-γ production and reduced IL-17 production (Fig. 2d). In contrast, Il-12p35-KO dendritic cells reduced IFN-γ production but enhanced that of IL-17 (Fig. 2f). IL-27p28-KD dendritic cells showed a reduced capacity only to promote IFN-γ production (Fig. 2e). These results are consistent with previous reports that IL-12 and IL-27 promote Th1 cell differentiation and that IL-23 drives Th17 cell differentiation. Moreover, the IL-12/IFN-γ pathway may counter-regulate the IL-23/IL-17 pathways. To investigate whether dendritic cells serve as primary targets to comprehensively investigate the contribution of Th cell subsets in graft rejection, we used IL-23p19-KD, IL-27p28-KD and Il-12p35-KO NOD/SCID mice as recipients and then reconstituted these recipients with T cells. We used an islet transplantation model to investigate the contribution of Th cell subsets in graft rejection. We transplanted islets to Il-12p35-KO, IL-23p19-KD or IL-27p28-KD diabetic NOD/SCID mice, and the normoglycaemic recipients then received 2 × 105 BDC2.5 CD4+ CD25− T cells. The survival of islet grafts was prolonged in the Il-12p35-KO (mean graft survival 49 days) and IL-23p19-KD recipients (mean graft survival 26 days), whereas graft survival was not altered in IL-27p28-KD mice after diabetogenic T cell transfer (mean graft survival 13 days) compared with the control recipients (mean graft survival 12 days) (Fig. 3). However, islet grafts were rejected with similar kinetics in the IL-23p19-KD × Il-12p35-KO recipients compared with the Il-12p35-KO recipients, indicating that IL-12 plays a dominant role in islet graft rejection. We also performed histology on islet grafts at day 11 to evaluate graft function and T cell infiltration (Fig. 4). The grafts from IL-23p19-KD and Il-12p35-KO mice showed more intact islet morphology (Fig. 4) and less CD4 T cell infiltration (Fig. 4), consistent with high levels of insulin (Fig. 4). The grafts recovered from Il-12p35-KO and IL-23p19-KD recipients displayed less severe T cell infiltration than those from the WT recipients, and this was positively associated with graft survival. However, grafts from IL-27p28-KD recipients displayed a level of infiltration similar to that in the WT group. To investigate the contribution of T cell populations to graft rejection, we transferred polyclonal CD4+CD25− cells together with CD8+ T cells into recipients and analysed the activation status of T cells on days 14–16 after cell transfer. We isolated cells from graft (graft-infiltrating cells [GICs]), spleens and PLNs (the primary homing lymph nodes of diabetogenic lymphocytes, used as a control) and analysed the cell populations and cytokine production. The total number of GICs from Il-12p35-KO recipients was significantly lower than from the WT recipients; however, cell counts from the other groups did not show significant differences from the WT control group (Table 1). We analysed the populations of effector cells and Treg cells in these recipients. The IFN-γ+, IL-17+ and IFN+IL-17+ CD4 T cell populations were similar in the spleens and PLNs of the recipients (Fig. 5a–f), even though the IFN-γ+CD4+ population was decreased in the spleens of IL-23p19-KD recipients (Fig. 5a). Importantly, the IFN-γ+CD4+ population was decreased in the grafts of Il-12p35-KO and IL-23p19-KD recipients, which showed prolonged graft survival (Fig. 5g–i). In addition, IFN-γ+ cells were more frequent than IL-17+ cells in this model, suggesting that Th1 cells play a crucial role in islet graft rejection and that the lack of IL-12 mitigates detrimental Th1 cell-mediated rejection. These results demonstrate that Th1 cells play dominant roles in islet graft destruction and that IL-12 and IL-23 are necessary for the generation or maintenance of graft-specific Th1 cell responses. As Treg cells play crucial roles in transplant tolerance, we further checked the CD4+FOXP3+ regulatory T cell population in recipients. There were no significant changes in the Treg cell population in the spleens, PLNs or grafts (Fig. 5j), suggesting that our IL-12-family-cytokine-deficient mouse model was suitable for the study of effector T cell differentiation during graft rejection and that the results might not have been affected by Treg cells. Finally, we checked the populations and status of the CD11c+ dendritic cells in recipients (ESM Fig. 2). The expression levels of CD40, CD80, CD86, CD54, PD-L1 and MHC class II molecules were not altered in these IL-12-family-cytokine-deficient recipients. The dendritic cell subsets were also similar among these recipients. These results indicate that lack of IL-12, IL-23 and IL-27 might not alter the development or surface molecule expression of dendritic cells in the recipients; however, IL-12 and IL-23 secreted by dendritic cells promote T cell differentiation and function, leading to graft rejection. The contributions of Th cell subsets to graft rejection have been investigated intensively in various graft tissues using different Th cell-related effector cytokines or models with knockout of genes for lineage-specific transcription factors (e.g. IL-2, IL-10, IFN-γ, IL-17, T-box 21 [T-bet] and RAR-related orphan receptor gamma t [RORγt]) [7, 8, 11, 26]. Although the results obtained using these models highlight the contribution of specific T cell populations in graft rejection, the full orchestra of T cell immune responses might be missed because of the multiple functions of cytokines and their compensatory effects. In this study, we used models deficient in cytokines of the IL-12 family to investigate the influence of Th cell differentiation and inflammatory processes, providing different angles from which to understand rejection responses. We found that the proinflammatory cytokines IL-12 and IL-23 were crucial in transplant rejection, promoting effector Th1 and—to a lesser extent—Th17 responses. Previous studies have demonstrated that the IL-12–Th1 axis cross-regulates the IL-23–Th17 axis [27, 28], as confirmed in our in vitro coculture experiments. However, our in vivo results revealed that both IL-12 and IL-23 were critical in promoting or maintaining Th1 cell function in the grafts, suggesting that the actions of these cytokines are context dependent. The reduction in Th1 cells in IL-23p19-KD recipients was unexpected. However, this might be explained by a finding that IL-23 mainly acts on effector/memory cells , so a reduced IL-23 level in vivo might diminish the effector cell population. Although the Th17 cell population was only slightly decreased (Fig. 5a–c), previous reports have demonstrated that IL-17 enhances IFN-γ + IL-1β-induced islet apoptosis and chemokine expression . Thus, these mechanisms may account for the prolonged graft survival in the IL-23-KD recipients. Besides, it is unexpected that islet graft survival was not further prolonged in IL-23p19-KD × Il-12p35-KO recipients, suggesting that the IL-12–Th1 axis plays a crucial role in islet graft rejection. As IL-27 plays both proinflammatory and anti-inflammatory roles, its net effect was no influence on either graft rejection or tolerance in our islet transplantation model. Previous studies have demonstrated that dendritic cells also express receptors for cytokines of the IL-12 family and that the function of dendritic cells could be modulated by these cytokines with lipopolysaccharide stimulation or experimental autoimmune encephalomyelitis [31, 32, 33, 34, 35]. By analysing the phenotype of splenic dendritic cells from NOD and NOD/SCID recipients with background cytokine deficiencies, we found that there were no differences in dendritic cell phenotypes among the Il-12p35-KO, IL-23p19-KD and IL-27p28-KD mice. Our results suggest that deficiencies in cytokines of the IL-12 family mainly affect T cell differentiation rather than the dendritic cells themselves. Dendritic cells express a panel of pattern-recognition receptors (PRRs) that sense danger signals to induce inflammation. The danger signals evoked though PRRs induce various cytokines of the IL-12 family that influence the development of Th1 and Th17 cell subsets. It has been hypothesised that allografts of tissues (e.g. skin, intestines and lungs) routinely exposed to pathogens and commensal organisms might display reduced susceptibility to transplant acceptance . This idea has been demonstrated in mouse skin and cardiac transplantation models showing that the engagement of Toll-like receptors (TLRs) abolishes the induction of tolerance [37, 38]. In the early phase after transplantation, the activation of TLRs by endogenous ligands released during ischaemia–reperfusion injury is also thought to play an important role in dendritic cell activation, leading to the production of cytokines responsible for the polarisation of T cell responses . Together, these results highlight the importance of dendritic cells in the initiation of Th cell activation and differentiation. Consequently, it is reasonable to modulate the function of dendritic cells experimentally and monitor the subsequent effects on T cells, which could provide the evidence needed to clarify the contribution of Th cell subsets in graft rejection and tolerance. Reports that pretreatment of grafts with ultraviolet or gamma irradiation reduces graft immunogenicity and prolongs graft survival in rat allotransplantation models emphasise the importance of donor antigen-presenting cells (APCs) in graft rejection [40, 41]. In many mouse strains, including NOD mice, dendritic cells are present in the islet and constitutively present beta cell-derived peptides . In this study, we investigated the effects of the recipient’s APCs on islet graft rejection (indirect presentation). However, our models cannot rule out a role for donor islet APCs in the mediation of direct antigen presentation and T cell activation, which may promote graft rejection. Islets from donors deficient in IL-12 family cytokines may have had longer graft survival times than in the current setting. Furthermore, we have carried out allogeneic skin transplantation experiments using NOD mice deficient in IL-12 family cytokines as recipients. We found that skin grafts to these deficient recipients were rejected with similar kinetics to WT recipient rejection (F-C Chou and H-Y Chen, unpublished data). These data suggested that resident APCs within the donor tissue also play a crucial role in the initial graft rejection and the contribution of donor APCs is context dependent. In conclusion, the results obtained in this study could help inform preventive and/or therapeutic strategies for transplantation that involve manipulating the expression of immunomodulatory cytokines in dendritic cells, and the induction of tolerance in genetically modified dendritic cells in models of autoimmune diabetes. Moreover, understanding the mechanisms that control the cytokines produced by dendritic cells and subsequently promote Th cell differentiation will provide more insight to transplantation immunology. We could also design therapies that block specific subunits of selective IL-12 family cytokines to interrupt early Th cell differentiation after transplantation. Furthermore, these animal models could be applied further to study other types of transplanted tissues (e.g. kidney and heart) and thereby help elucidate the role of Th cell subsets in the rejection response. Some of the data were presented as an abstract at the 63rd Annual Meeting of the Japanese Association for Laboratory Animal Science, 18–20 May 2016, Kawasaki, Japan, and the 16th International Congress of Immunology, 21–26 August 2016, Melbourne, Australia. This work was supported by the Ministry of Science and Technology (MOST), Taiwan, Republic of China. (MOST 103-2320-B-016-017-MY3 and MOST 104-2320-B-016-014-MY3 to HKS; NSC 102-2321-B-016-005-MY3 to FCC), Tri-Service General Hospital Foundation (TSGH-C106-004-006-008-S02 to HKS), and Tri-Service General Hospital (VTA106-T-1-1 to HKS). FCC, HYC, HHC, GJL, SHL and HKS contributed to conception and design, acquisition of data or analysis and interpretation of data. All authors drafted the article and/or revised it critically for important intellectual content. All authors approved the final version to be published. FCC and HKS are responsible for the integrity of the work as a whole.